Beckett Taylor’s quest to be a better man has brought Eve Hartt back into his life, but sometimes it feels like they’re bound together with barbed wire. Though he longs to love her without causing pain, the wreckage of their past continues to crash down around them. Yet with the help of this brothers—and for his brothers—Beckett won’t stop trying. He’s determined to make them all a family, to make a life they want to live, and to make Poughkeepsie a place that’s safe to live it. He can feel their futures balanced precariously on his shoulders: Blake and Livia and their children, Cole and Kyle and the new baby they’ve just brought home, and Eve…always Eve. He wants their dreams to be real. But murderers don’t just get Happily Ever After handed to them. They have to wrench it away from Satan himself. Good thing Beckett is prepared to do just that. After all, saving Poughkeepsie is the only way his story ends. Prepare your heart and your head for a wild ride in this final installment of the Poughkeepsie Brotherhood series. Debra Anastasia does not disappoint as she weaves the last chapter of a story that blends true love, turbulent emotions, and life’s harsh realities into an uplifting tale that calls to the good in each of us. My journey with the Poughkeepsie Brotherhood began several years back. A bunch of my friends were reading a story about a homeless man who counted the smiles of a young woman who travelled through Poughkeepsie train station every day. To be honest, I thought this wasn’t for me. The leading men were the above emotionally damaged homeless man, a man training to be a priest and a potty-mouthed gangster. Not the sort of fictional guys I would fall for. Jump forward a bit in time and I got to know the author. The more I got to know her, the more I heard her talking about these guys and they didn’t sound bad at all. In fact, I was intrigued. 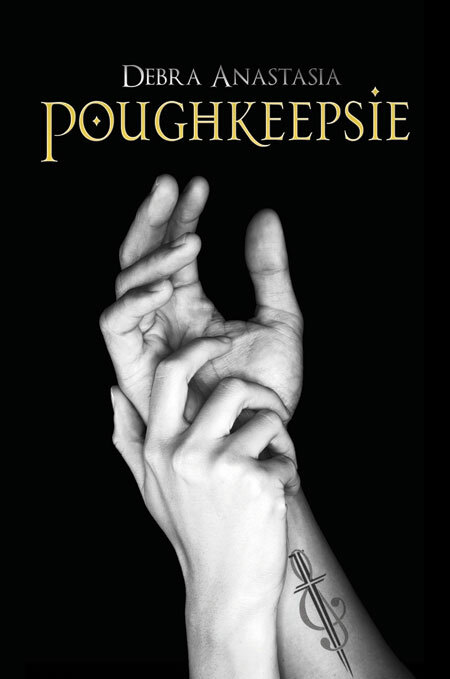 As it turned out, I was right to be intrigued and when I finally started reading the first book in the series, Poughkeepsie, I literally could not put it down. This is a series like none you’ve ever read before. The plot twists and turns in unexpected, sometimes frightening ways. The romance veers from tender and heart-warming to sexual wrestling that leaves the characters beaten and bruised, but in all cases, always entirely satisfied. It’s real strength lies in the character interaction and development. Blake, Cole, and Beckett are the brothers at the centre of this series, brothers in every way but blood. As kids they met in the foster care system. Each with their own baggage, they found in each other what they couldn’t find anywhere else – a family. Beckett aged out first and took it upon himself to become protector. He became the streetwise badass so his brothers would never have to. There are limits even to what a badass can do. There are some things people have to figure out for themselves. For Cole, it’s how he can best serve God, and for Blake, it’s the heart wrenching delusion that traps him in the shadows. Debra Anastasia knows how to write. She know how to make you feel you’re a part of the story and every little thing that happens is vitally important. She’s the sort of writer that I aspire to be one day. It takes guts to risk showing the dark side of characters to the extent she does, to make the reader believe to their bones that a murderer deserves a happy ending and believe he will never reach it. Her writing is brave and visceral. It’s been said that to write, all someone must do is open a vein and bleed onto the page. No where is this more apparent than in these books. The raw emotions and gritty reality is soaked into every sentence. As a reader, I quickly became invested. 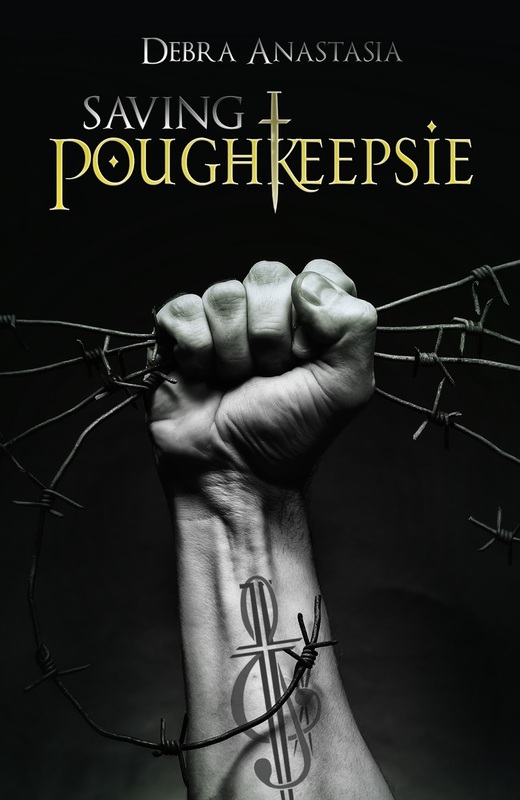 Each book in this series is better than the last and Saving Poughkeepsie is a powerhouse of a finale that doesn’t let up until the very last word. All Beckett wants to do is protect his family and his town. He and his brothers want to bring light and hope into impossible situations, hope they found so difficult to grasp when they were young. Of course with a psycho crime boss and his vile, monstrous lackey in town intent on ruining Beckett and claiming a future he and his love, Eve, didn’t even know they could wish for, Saving Poughkeepsie won’t be easy. Beckett will have to inspire the people who can’t stand each other to stand up and fight together. The brothers and everyone around them have more to lose than ever before, but more to gain if they are prepared to reach for it. Saving Poughkeepsie is a family/crime romantic drama of epic proportions that will fling you between elation and devastation and back again. It just begs to be translated to the big screen. Love your review, Carol! Debra's reading is indeed brave and visceral--well stated. And I love the phrase "sexual wrestling" ha ha!